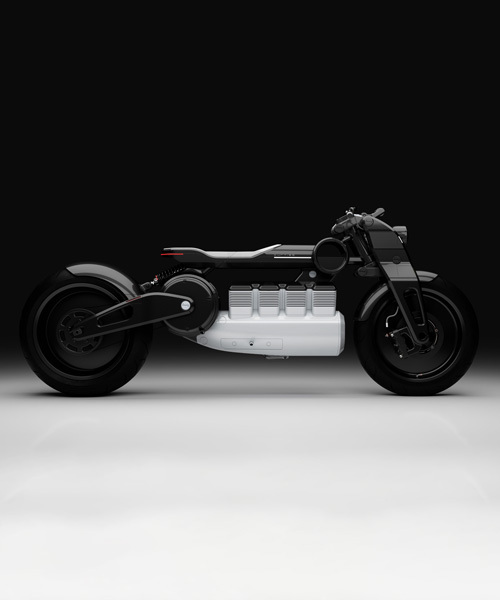 drawing from its century-old history, the team at curtiss motorcycles has redesigned an 111-year-old bike for the all-electric age. 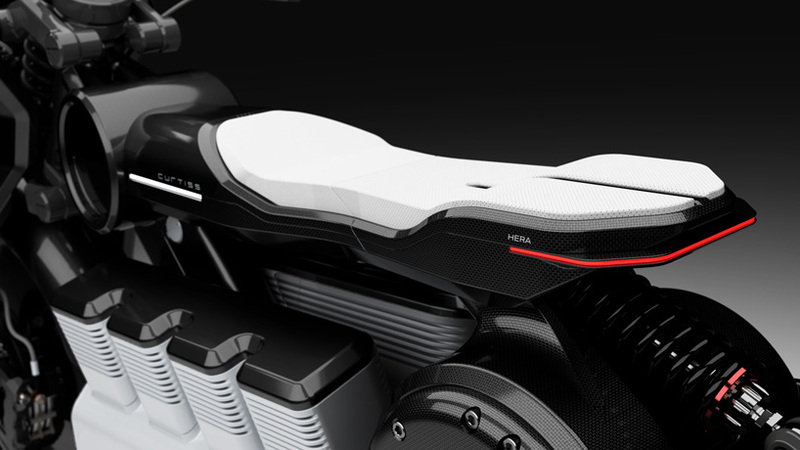 boasting a black and white color scheme, the hera bases itself almost entirely on the company’s V8, developed by founder glenn curtiss in 1907. its updates include an 8-piece battery pack arranged in the v formation, with an e-twin motor beneath the seat. hera features a proprietary battery and electronics architecture, which pays homage to the iconic 1907 curtiss V8 by re-imagining the machine in an all-electric form, complete with eight ‘cylinders’ containing advanced lithium-ion batteries. 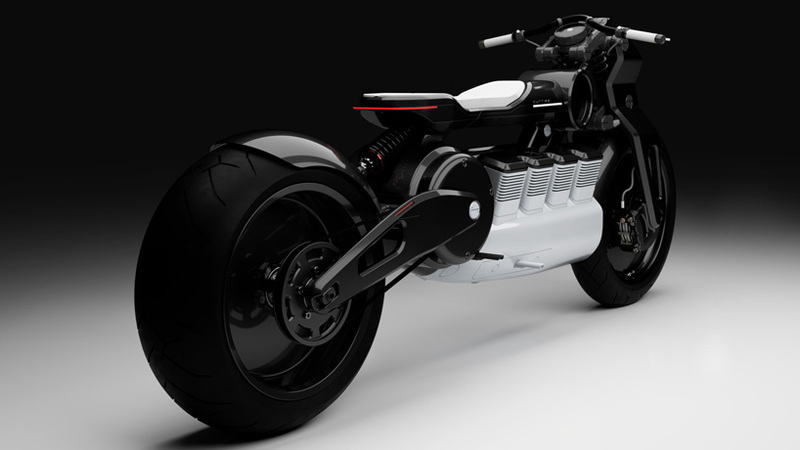 the motorcycle features a wheelbase of 64.5 inches, and a ground clearance of 8.25 inches, giving it a uniquely utilitarian proportion and stance. 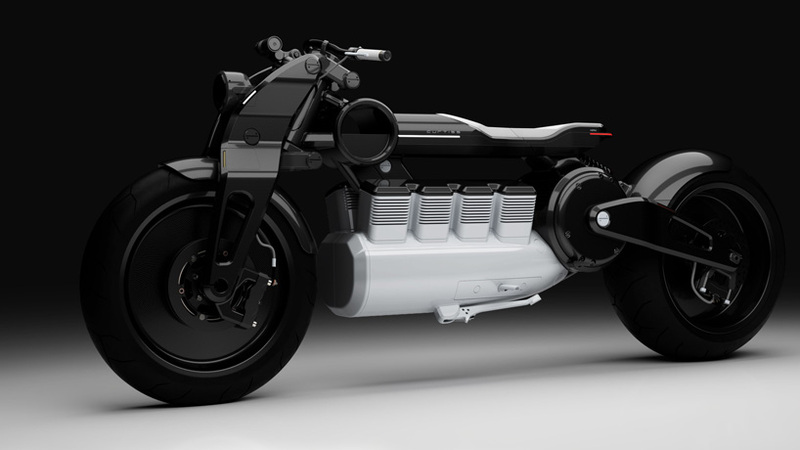 continuing to push into the growing electric motorcycle space, curtiss motorcycles has unveiled two new versions of its all-electric zeus motorcycle. according to the company the new model utilizes cutting-edge energy storage systems to balance power and range, and aims to deliver a range of 280 miles (450km), 145 foot-pounds of torque, and a 0 to 60 time of 2.1 seconds, all with a 140Kw motor. the motorcycles showcase an evolved design and technology package based on the company’s newly-formed advanced powertrain division, led by paul ogilvie. ‘we are excited to showcase what we believe is the best technology in the industry,’ says mr. ogilvie. these production zeus models are expected to compete head-on with harley-davidson’s upcoming all-electric livewire. the two new models are slated for production in 2020 with curtiss planning to announce pricing, detailed specifications, and reservation details later this year. Hey Jimmy. 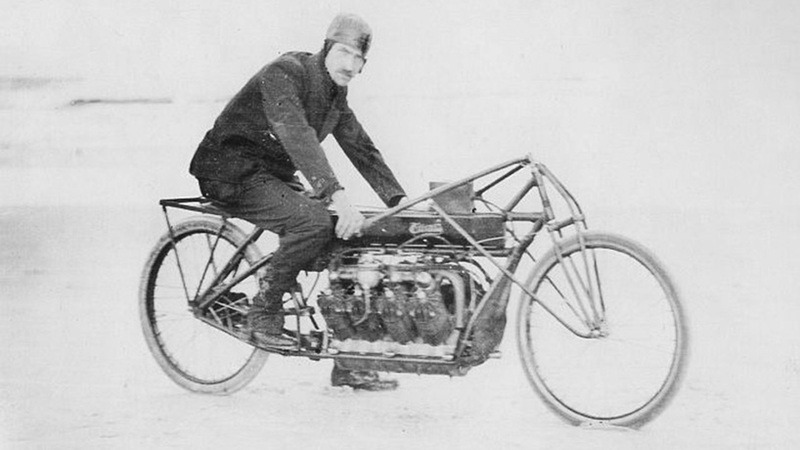 Glenn curtiss is not the founder of Curtiss Motorcycle Company. The motercycle company, which used to be named Confederate Motors, just uses Curtiss’s name in honour.